Trend: go find yourself a market niche, all you online print providers out there! The market for online print is saturated! This is the prophecy of doom emanating from the industry. That’s way off the mark – smart ideas will always find a market – those are the rules of the Internet. 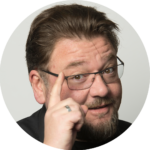 If you talk with a few of the major online print providers in Germany, they all tell you: “the market is saturated – you’re better off partnering with us, then you still have a chance”. Incidentally, the bigger the provider, the more vehemently this theory is advocated. The obvious assumption is that this is more about obstructing a process of agile market compartmentalization than about stating realities. And they are apparently ignoring obvious trends. Print has long since ceased to be the only communication channel available to advertisers – now it’s just a piece of the puzzle that’s known as the communications mix. More than 60 (major and more minor) advertising channels in conventional as well as social media and an increasing advertising and marketing focus on digital forms of communication will continue to change print and the entire print industry. Although that makes grim reading, there’s no other way of interpreting the forecasts on future media use. Print will remain a key component of the communications mix, but the know-how required to produce that mix will be less and less a set of design or marketing skills and going to a conventional print provider will become the exception. Advertisers will instead switch to online print platforms, where processing is standardized and the best price is guaranteed. Consequently, print companies need to network much more with potential clients and enhance their eBusiness print offerings, expand or search for niche partners for certain applications. Nowadays digital communication is already heavily tailored to users. That’s also going to rub off on print. Personalization (for the print industry that’s actually old hat) is set to gain momentum. Dividing large print runs into smaller batches has long been standard practice. The next step will be mini or single-item print runs, accompanied by the trend towards mass customization, which in turn requires online platforms that enable customers to configure their own personal products. At the same time, companies involved in online commerce have recognized the advertising impact of print and want to improve “conversion rates” on their online platforms with the aid of intelligently designed print products. Print will therefore be more closely interlinked with eCommerce transactions than previously. Accordingly, customers’ expectations in relation to print will continue to grow. At the same time, they are less and less inclined to have to deal with the nuts and bolts of the printing process, but want to purchase good-quality print products at the best possible prices conveniently, quickly and at short notice. The reason is obvious – customers don’t want to purchase printed paper but a product that helps them sell their products more effectively. Therefore, the entire print industry needs to transform and must necessarily apply online mechanisms in order to survive. No doubt several companies will fall by the wayside; however, print volumes will remain almost constant during the next few years, despite all the prophecies of doom. Although volumes in the D/A/CH region are currently declining by around 1.2% per annum – the shift of analog-focused print providers towards online print is in full swing. Therefore, the statement by some online print giants barely holds water. Furthermore, there are numerous examples of “niche providers” successfully playing the online print game – and indeed from niches that barely anybody had on their radar previously. Want an example? 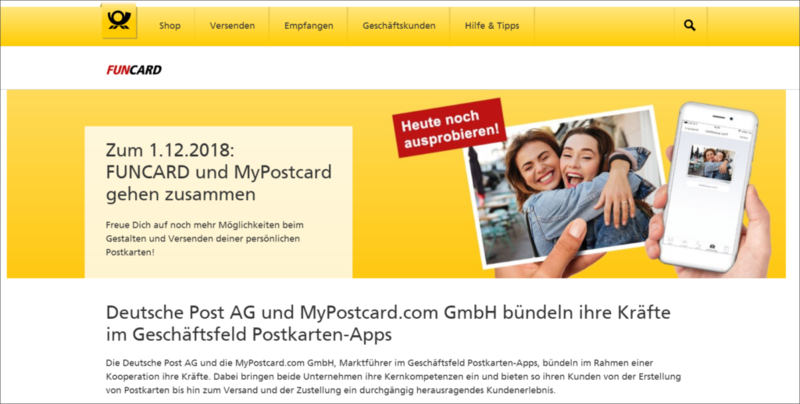 OK. MyPostcard.com has focused on the good old postcard. An area that major players have also tried their hands at, like Deutsche Post’s Funcard or the postcard services offered by some photobook providers. Oliver Krey, the founder of mypostcard.com, has however reversed the way the market works, in agile start-up fashion. His service includes an app that the user can utilize to send postcards. I have already reported on this topic. And he is successful too – he recently acquired Funcard from Deutsche Post. Here’s another example. Letterpresso, one of the largest letterpress firms on the market, has operated its own print store online since March 2016. In February 2017 expanding its reach was on the Essen-based print specialist’s agenda, in fact in the form of a partnership with Onlineprinters, a major European online print player. Quality has its price – and deep-embossed business cards are not consistently perceived as a “typical” online print product. So, why not offer a niche product on a larger platform and thus enable customers, who have previously associated letterpress with letters, to acquire a taste for crafted print products? Lo and behold – it works. That straightaway creates a desire for more such forms of partnership that will enhance the online print industry. Let’s just stick with Germany, shall we. Labelprint24.de and other online providers of labels are doubtless specialists in the labels “niche”. Labels are highly complex print products and producing them (in personalized form or in small quantities) to high quality standards and in their thousands a day continues to be a real challenge – a task that conventional job printers can barely manage, given all the variety and dissimilarity. And of course, there are other examples at national and international level of niche players like Moo.com that specialize exclusively in cards and print products for business and/or private use. Five years ago, nobody talked about Helloprint, a typical print product sales platform with an incredibly wide range of print products, even unusual ones. And a company like Picanova, which offers large-format photos through full wall décor, is not really perceived to be mainstream. Yet these perceived niches in the market are precisely what give the market X-factor. And perhaps the one or other “niche product” is exactly the missing piece of the puzzle that has prevented the picture from being completed. My take: Partnerships and niche players in particular are an integral part of the online print industry too. There’s always room for great ideas – but nothing drops into anybody’s lap. Not even Flyeralarm, which this year announced it was entering new business segments almost monthly and recently entered the visual communication and lighting technology sector. 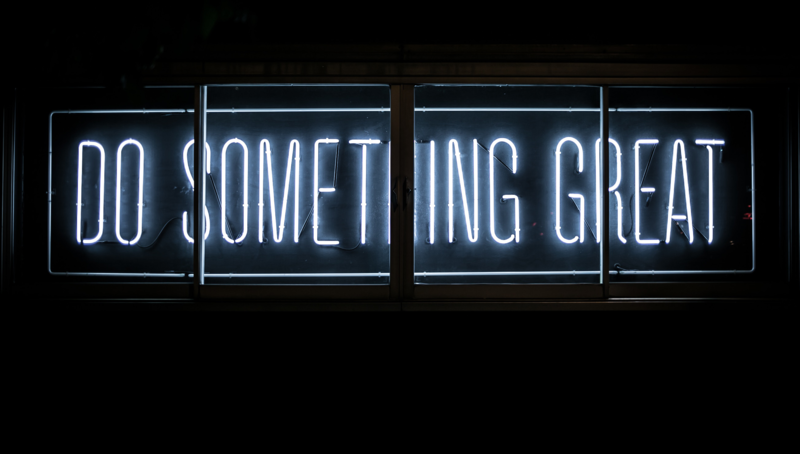 This all suggests that there will be more upheavals in the online print market in 2019 – and I wonder where all the old and new players will go from here.